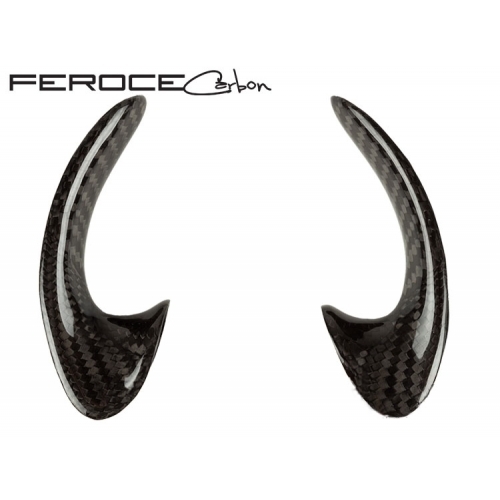 Transform the look of your FIAT 500 ABARTH Steering Wheel with this sharp looking 2 piece set of Carbon Fiber Trim from Feroce Carbon. 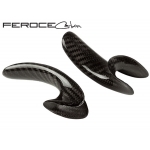 Installs in minutes and instantly gives your steering wheel a custom touch. Don't forget to check out our other Feroce Trim Pieces for even more options.These trim pieces are meant to be placed on the lateral sides of your ABARTH steering wheel. Epoxy is optional but not included.